Downy Mildew, Texas Chili, and Wood Piles. A Year in Review. I esentially minored in Statistics while in Graduate School. So it is natural for me to pour over the yearly data at my blog. There were of course some posts that held more interest than others, and of course there were some seasonal trends to what posts were viewed and when. In the spring and summer the most common viewed posts were about downy mildew. This makes sense as this is the time period when this fungus is most likely a problem in vineyards. 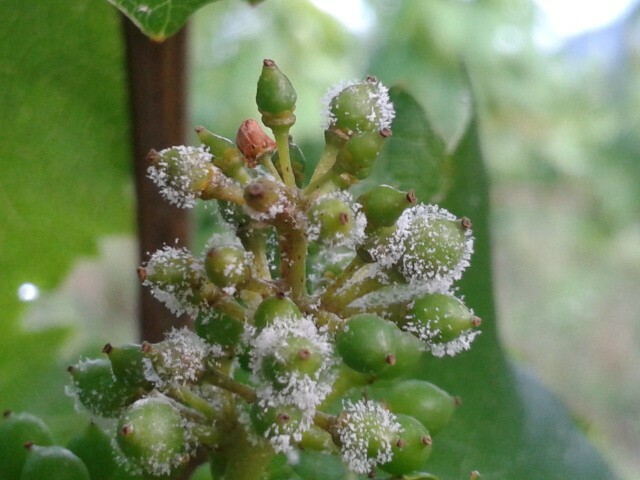 Downy Mildew: on young grapes. The name comes from how the fungus looks like fluffy goose down on the grapes. 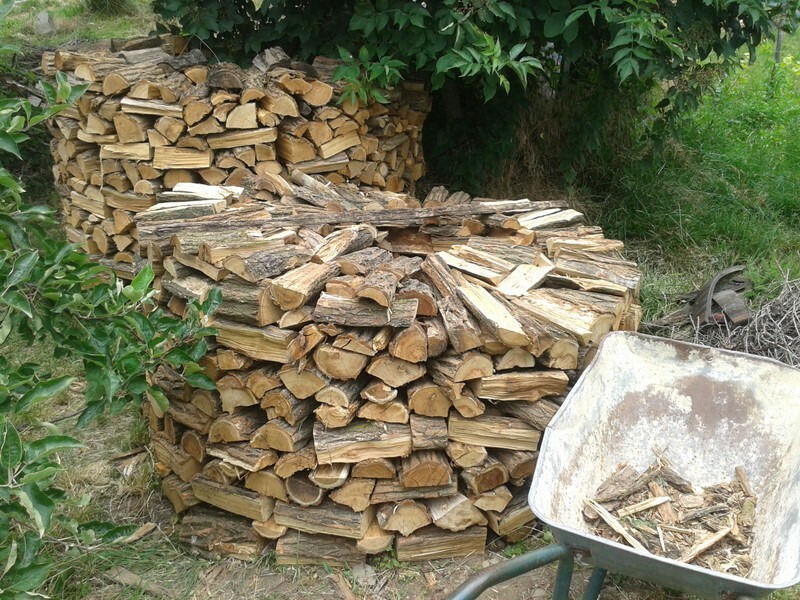 The fall and winter months were dominated by my posts about my firewood and how I build wood piles for drying. This I found very interesting: as wood should be stacked in the Spring to dry and it is in the Spring that these posts would be most optimal for viewing to get the most benefit from them. Checking such posts in the fall is too late, unless one is planning for next Spring. Wood stacks in the round. The foreground stack is under construction. Note that some of the wood is turned at a 90 degree angle in the stack to allow for an interior arrangement of wood that helps to lock the pile together. And of course, the ever so popular post comparing Texas Chily versus Hungarian Porgot. After all, on a cold winter night, there is nothing better than a bowl full of Chily or Porgot. all kinds of cooking no doubt extended to frontier cooking. A casserole à frire has a long handle integrally cast into the utensil. This type was more common on the frontier than the modern type with the wire handle. 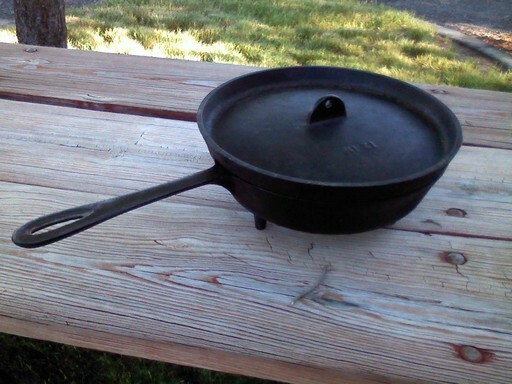 Similar to most modern Dutch ovens they had three legs to stabilize in coals and keep off direct heat plus a raised rim to hold coals in the lid. Casseroles à frire are no longer commercially available and can only be acquired with great difficulty on the antique market. Less common, but also seasonal, in fall was the increase in visits to my posts on getting the Brix right for proper harvesting of grapes for wine making. You should see the Degrees Brix shown in the viewer. 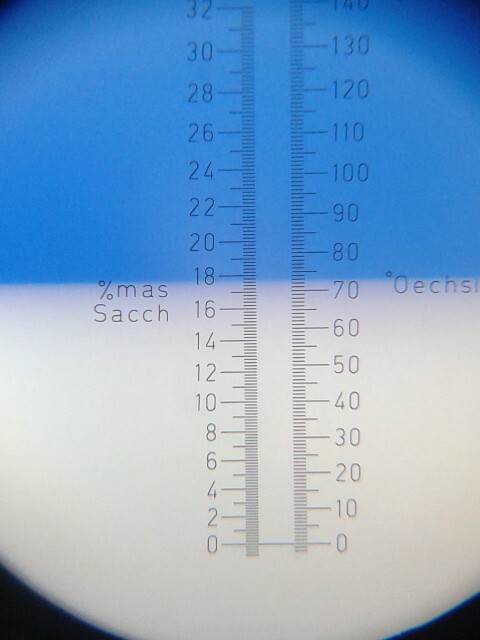 From the above photo, you can see that the Degrees Brix is about 17.8 (shown as °mas Sacc since I purchased this refractometer in Switzerland all the markings are in German). Overall, I am happy that I have, in my small way, helped all those in 2015, and I hope my future posts will also assist and edify many more in 2016.